Did you know that, since 1995, September 19 has been International Talk Like a Pirate Day? Wikipedia gives a brief history of this weird occasion, which originated between two friends playing a game of Racquetball. Free printing in the ERC lab! Students– did you know that you know that you can get 10 free pages of computer printing in the library per day? You can, and there’s no catch– with your current ID in hand, just go to the computer lab in the main campus library. Our lab is down the stairs inside the library and immediately to your right. Durham Tech offers 10 free pages of black and white printing for current students in both the ERC main campus library lab and in the Wynn Center computer lab. Both labs require current Durham Tech IDs. It is quick and easy to get your ID or your updated ID sticker at Campus Security in Building 8. There is no cost to get an ID or sticker, except if you are replacing a lost ID (the replacement cost is $10). Need to print more than 10 pages? Yes, sure, you can do that! The cost is 5 cents for each additional page over your first 10 pages. You can also print upstairs for 5 cents per page for every page. How does it work? Easy! Just bring your current Durham Tech ID, which you’ll need to show at both the door of the library and again at the door of the lab. In the lab, log in to our computers using your Web Advisor username. Once you send your print jobs, the ERC computer lab monitor will release up to 10 pages for free and you will pick them up right there in the lab. If you print more than 10 pages, the lab monitor will give you a bill, which you will pay at the front desk upstairs in the library. Then library staff will then release your print job and you will retrieve it in the lab. Can I get my 10 free pages on the upstairs computers? No. Free printing is available downstairs in the lab only. Can I pick up my print jobs upstairs? No. We can’t change the print job destination to upstairs. Can I print double-sided in the computer lab? No. The downstairs printers do not have that option. Can I print in color from downstairs? Yes, just select a color printer from the menu when you send your job. Cost is 25 cents per page. Can I pay for additional pages or for color print jobs using a debit or credit card? Sorry, we can accept only cash to pay for print jobs. Can I print in the ERC lab without my current student ID? No, you must have your current Durham Tech ID with you every time you enter the lab. The lab monitors cannot look you up or accept other forms of ID. If you are in the library without your ID using your one time library courtesy pass, you can still print at the computers upstairs for just 5 cents per page. Do you have any questions? Let us know. We look forward to seeing you in the library! Can’t Decide What To Read Next? Looking for a book to read over winter break? 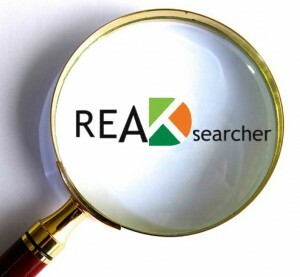 READsearcher is a new service the Durham Tech Library is offering where we give you personalized book recommendation based on your answers to a few painless questions. You can find the link on the library homepage under ‘Forms.’ We are excited to offer this new service and look forward to helping all of you find your next book! Waiting for your books to arrive or need to save some cash this summer? The library has many textbooks on reserve for you to borrow in-library for 2 hours at a time. Give us a call or stop by to see if we have something that can help you out for the summer semester! Remember that we offer our regular library services over the summer as well, including research and citation help, inter-library loan, book check-out, a computer lab, and upstairs printing for $.05 a page. Library adds reading device to assist people with visual impairments! 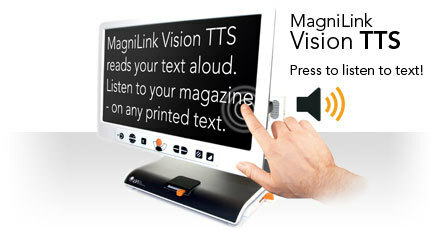 With a touchscreen as well as textured buttons, the MagniLink Vision TTS assists readers who have visual impairments. The library installed a modular video magnifier–the MagniLink Vision TTS reader–which enhances or enables reading of printed books for people with a range of visual impairments. Features of the MagniLink Vision TTS include text-to-speech, adjustable zoom and a variety of background and text contrast modes. It is easy to learn how to use this tool. If you’d like to use it, please visit the circulation/reference desk at the main campus library in the ERC and ask a librarian for assistance. Announcing our library’s new reference service, Book A Librarian! Do you need help doing research for an assignment for class? Want to learn more about searching for resources in general? Want someone to walk you through citing a paper in a new-to-you format? Have a busy schedule and want to make sure that a librarian is available to help you when you come into the library? Now you can make an appointment with one of the Durham Tech librarians for some one-on-one help! We are unable to help proofread or edit the content of assignments or offer subject-area tutoring during these reservations. We are also unable to help you troubleshoot problems on your personal computer. Appointments will be assigned to available librarians and must be made at least two days in advance. You will be emailed or telephoned back with confirmation of your appointment. If we are unable to help with your specific issue, we will let you know at this time. Please be prompt– while we understand that circumstances may make you late or need to cancel the appointment, if you are more than 15 minutes late, your reservation will be cancelled. Please note that reservations are for the Main Campus library ONLY. Please contact library@durhamtech.edu if you would like to set up a meeting with a librarian at either the Orange County or Northern Durham campus. New look, new layout, new books!